Borderlinx | Buy Strenesse Germany and ship worldwide with Borderlinx. Cheap rates guaranteed. Strenesse Germany is an upscale clothing store selling chic and well designed and made clothing online to men and women alike. Their brand is sophisticated and classy appealing to people who are well travelled and well read and who like simple but very stylish clothing. Paying careful attention to high quality fabrics and superb tailoring is what makes them a popular online clothing shop. In an age of mass production in everything, Strenesse Germany strives to be different offering lightweight luxury to people who want to be individuals. Women will appreciate the powerful and stylish business outfits to impress, to elegantly casual looks to turn heads but keep you comfortable. Strenesse Germany offers men an incredible range of clothing made from various quality fabrics such as lambskin velour leather to tightly woven virgin wool and cotton. Quality seems to definitely precede quantity when it comes to what Strenesse Germany can offer the discerning buyer. Offering secure online payment and free returns, customer satisfaction is a priority. Calculate cheap shipping costs, taxes and duties using the online calculator after placing your order with Strenesse Germany and have Borderlinx deliver your goods no matter where in the 64 countries worldwide you have ordered from. 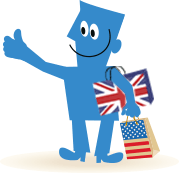 Borderlinx is easy to use and takes the stress out of shopping. A number of services are available through Borderlinx to make international ordering from Strenesse Germany hassle-free, including shipment value protection, free repacking and consolidation services.